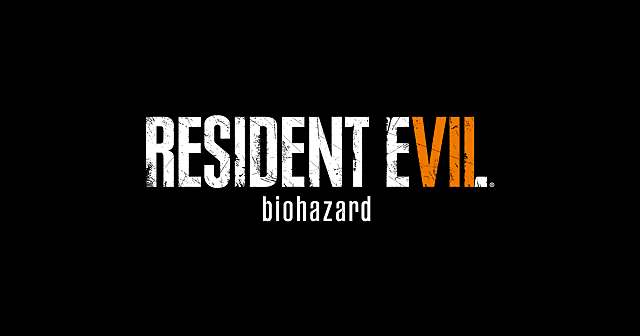 Resident Evil 7's second piece of DLC, titled, “Banned Footage Vol. 2”, has arrived on PS4 and Xbox One, giving players another excuse to “enter the survival horror” once again. 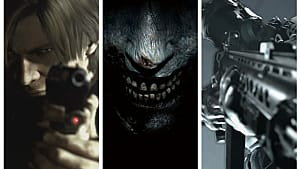 Much like RE7's previous DLC, “Banned Footage Vol.2” offers a neat little package of pure terror that consists of 3 more missions/episodes -- a story mission, a story/arcade mission, and a pure arcade experience which is unrelated to the story and simply offers a difficult-yet-fun experience. 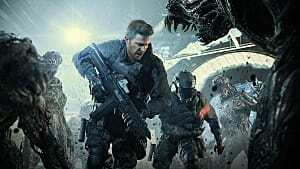 Let's break down each of these sections and talk about what they add to the game. 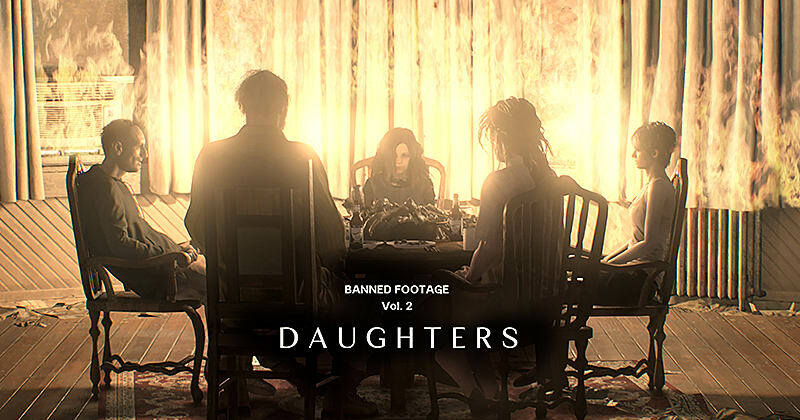 “Daughters” is the main story episode, and details the events which transpired in the Baker Mansion prior to Ethan’s arrival. You do get to see the “Baker lifestyle” prior to Evie’s manipulation, which transforms these innocent folks into the grotesque beings they become. 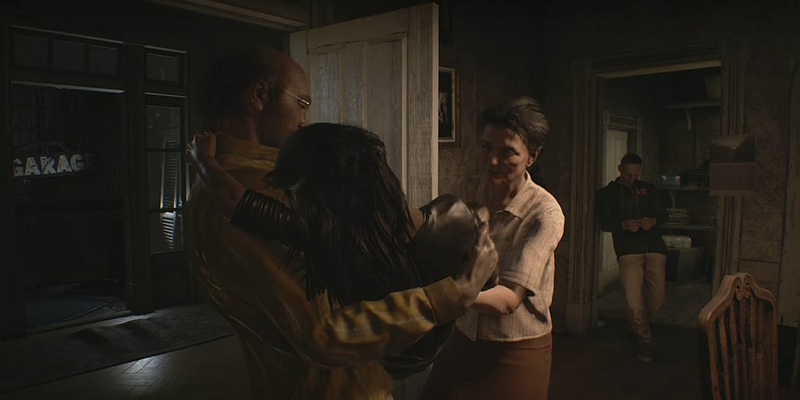 But you only see this normality for about a minute-long scene before they slip into the personas you see in RE7’s main campaign. Jack is shown to be a caring man, offering his services to any strangers that need it. Sweet ol’ Marguerite is a loving woman, putting others before herself at all times. We don't find out much about Lucas, apart from learning that he was still a psychopathic tool before he was infection -- and you can only learn that via hidden written messages scattered around the mansion. 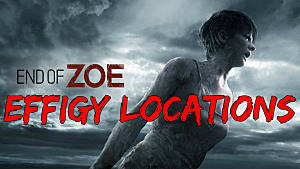 And we learn even less about Zoe. Though she's a playable character, we don't get any new information about here from this rather short piece of story DLC. The gameplay in this section is pretty lackluster, and more or less identical to the beginning sections of RE7's campaign. But where the non-scripted behavior in the main game added a sense of tension and sheer terror as you did from Jack, the linear nature of the encounters in this mission make them much less heart-pounding. There aren't any weapons in this episode, so your ability to stun, run, or hide is gone -- along with really any form of stealth. The only option given to the player is to bolt for the exit. There’s no surprise to these “running segments” either; no sudden changes to your paths, and the enemies just follow you. No popping out from corners, no hiding behind doors, no destroying the environment to catch you...just slowly walking. The atmosphere in this episode is genuinely creepy at times, but what could be intense moments of fear often putter out before any real payoff occurs. But there's plenty to love here, too. There are lots of good things about this episode. Though you only get a short look at these characters prior to their unfortunate demise, seeing them at all adds a level of tragedy and near-regret. It's a good reminder that they were people too, and you have to carry that knowledge as you eventually have to take them out. It's really kind of sad. The most commendable and practically flawless aspect of this DLC is its multiple endings. 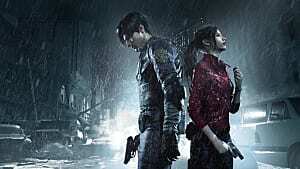 Much like the Resident Evil: Beginning Hour demo, you have to complete certain tasks prior to the end of the episode in order to get a specific ending. And for the most part, this is well-executed. Certain clues were brutally hard to find, and the requirements for one of the endings was a bit difficult to understand. But ultimately it's an enjoyably complicated puzzle to uncover and follow -- an element sadly lacking in the main game. Parts of this episode which are immensely satisfying. However, it’s downfalls and the missed opportunities for story and character development in this DLC make it just okay, but kinda disappointing. This story/arcade style mission features RE7’s underdog, Clancy Jarvis -- the most dedicated cameraman of the century -- as it’s playable character. Following the events of "Banned Footage Vol. 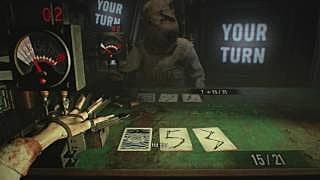 1", he's been captured by Lucas and strapped into a Saw-like trap that pits two people in a high-stakes game of Blackjack. The grand prize is their lives. If you thought that the main campaign was brutal in how violent and sickening its gore could be, then you are in for a shock when you see what happens to the losers in “21”. The actual gore itself isn’t as “damaging” so to speak as the gore shown in RE7’s leading story, but voice acting has greatly improved -- allowing for more consistent tension that's unhindered by the “uncanny valley” nature of the original voice acting. And it definitely makes the experience more disturbing overall. 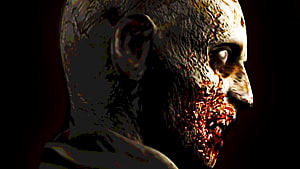 It wasn’t uncommon for characters in RE7’s main campaign to act merely daunted by the immense pain they must have felt in its more vicious moments. Ethan's aggressive amputation scene is perhaps the best example. But "21" is a stark contrast, as the reactions are now horrifically realistic and disturbing. The first time you “succeed” in a round, the loser starts screaming and squirming in agony -- and you immediately understand that there are no winners in this game of chance. The sound effects compliment the voice acting, immersing the player in this nightmarish situation even more as you hear the sounds of flesh being sliced into, followed by a faint “thud” as the now severed body part falls onto the wooden table. And the sounds of screaming and gushing blood will flood your ear drums. It's really kind of harrowing. But there's replay value if you can stomach it. This episode has a lot of replayability because of all the different ways you can approach it. The higher difficulty options change the gameplay, so trying out this section on multiple settings will keep some players coming back. If that's not enough, there are also lots of rewards that can be earned for nailing achievements. 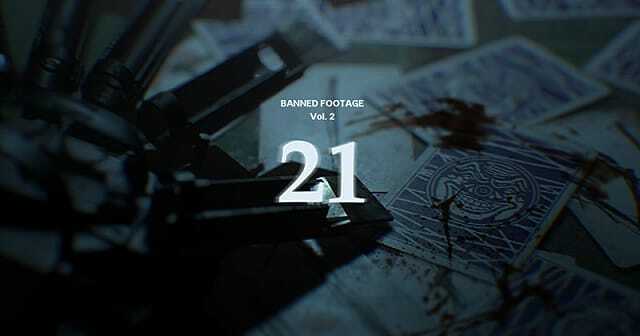 Out of all the DLC released for Resident Evil 7, “21” is most likely my favorite so far. It’s tense, it’s gory, it’s disturbing...but it's not mindless. You'll need to use your head if you want to live. Just be sure to bring a strong stomach, a pen, and LOTS of paper. “Banned Footage Vol.2” caps off its collection of horrors with the light-hearted scavenger hunt known as, “Jack’s 55th Birthday”. And this mode is totally unlike the others. You take control of Ethan's highly chirpy and proactive wife, Mia, as she tries to find and collect large volumes of food to feed a starving Jack, who’s intent on filling his gullet for his 55th birthday. This episode is so sensationally silly that one can’t help but be absorbed by its absurdity. These once hostile-looking halls are now decked out with decorations of all sorts, and are filled with enemies dressed for the occasion. They wear numerous hats and decorations, yet still feel the need to attack you as you scavenge up some scrumptious meals for the birthday boy. As you may have already figured out, the decor in this episode does put a damper on the fear factor as you roam the Baker Mansion. 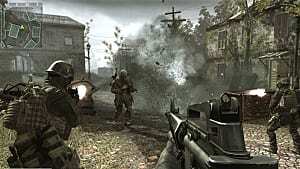 Instead, it focuses on fast-paced-but-low-stress action. Enemies won't swarm you like they did in Volume 1's "Nightmare Mode", but will instead act as barriers to try and slow you down. Where survival was the name of the game in previous DLC missions, "Jack's 55th Birthday" focuses more on time management. Jack is a very demanding man -- and in order to get the best rewards, you'll need to complete the stages as fast as you can. Rewards will vary from skill boosts to stronger weapons, but you have to manage them carefully to make sure they don't take up too much precious item space that should be dedicated to storing food for Jack. Like the infamously difficult “Ethan Must Die” mode from Volume 1, this is the type of episode you’ll be playing time and time again -- learning on each run the best paths to take as you hunt down the most “filling” food items, as well as where certain keys are located. This episode's dopey appearance hides the deep strategy that's required to complete it. And honestly, that sums up the essence of most DLC for Resident Evil 7 so far -- a simply concept with complex mechanisms underneath. So how does this DLC measure up? "Banned Footage Vol. 2" left me wanting more -- mostly in a good way, but in a slightly disappointed way too. "21" surpassed my expectations, leaving me scarred but highly impressed with its quality. 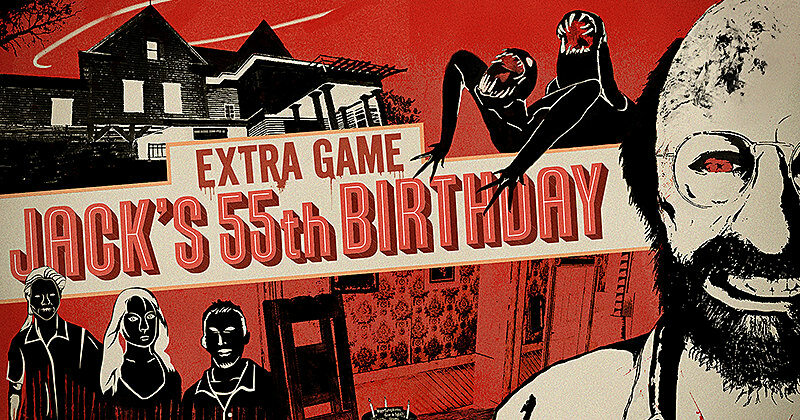 "Jack's 55th Birthday" easily matches (and in some ways improves upon) the arcade-style experiences first introduced in Volume 1. I can't quite say the same for "Daughters". 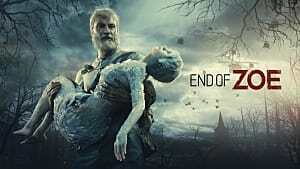 While it executed wonderfully in some aspects, it doesn't quite deliver on what it promises to fans -- and misses many opportunities to build upon the original game and provide more depth to its characters. The first Resident Evil 7 DLC didn't have anything that really let me down, but it didn't have anything that blew me away either. Volume 2 has a lot more substance and quality in most of its episodes, and offered a more memorable/satisfying experience than the previous DLC did. 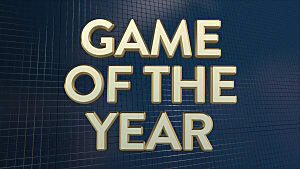 Fans who are looking for replay value and extra gore should definitely pick this one up. Resident Evil 7's 2nd DLC offers a sickening experience for fans.